Following their individual stage performances during an event held for Property Mart at The Grenadines Homes, Citiview Estate-Arepo, Demmy and GT Da Guitarman got together for an awesome freestyle; this freestyle is note-worthy as both artistes never rehearsed prior to recording - a major highlight would be for Demmy, who handled and played the guitar himself whilst having GT Da Guitarman freestyle over the notes played. Demmy, who's set to release the official visuals for his "Tuale [Reloaded]" offering before the year runs out sure seems to be quite multi-talented as most of his teeming fans would be glad to see him actually playing an instrument, a quality that makes him not just a recording artiste, but an all-round entertainer; so much can also be said for GT Da Guitarman who recently released his "Baked" album - do we see a collaboration between these 2 in the nearest future? 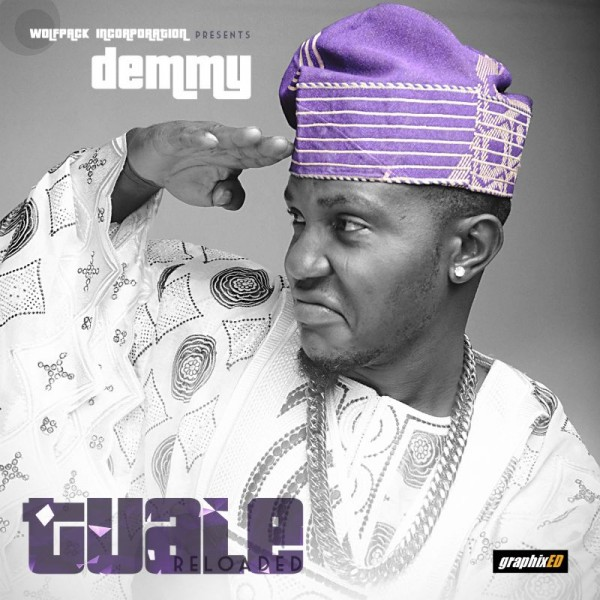 In a bid to end the year 2014, Demmy also lets out the reloaded version of his 2011-released offering titled "Tuale," which in grand style, is being issued with an official visual as directed by Big John; listen, watch and share your thoughts. | ENJOY!! !